If you are the fan of the world famous cartoon about the charming girl Dora then this new engaging Arcade and Action game Dora Candy Transport is exactly for you. Help Dora to deliver all the candies safely to the destination. The more you advance in the game the more candies you have to deliver. Avoid all the obstacles and try to earn as many scores as possible in this awesome Arcade and Action game. Start playing the terrific game Dora Candy Transport right away and totally for free. 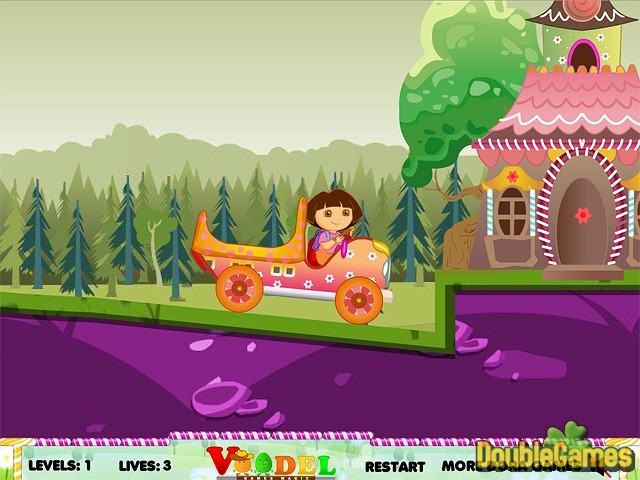 Title - Dora Candy Transport Online Game Description - Don't pass by Dora Candy Transport, a Arcade & Action game projected by Voodel. Help Dora deliver all candies safely!